Budget 2015-16 was real disappointment to common man. Finance minster has given very small income tax relief in budget and took away amount more than this relief by increasing service tax by 1.64%.Budget 2015 is big dissatisfaction mainly due to rise in service tax and excise duty. Government was saying that they will bring good days for common man, but I say it is beginning of Bad days for common man. Household expense is about to increase due to rise in service tax. 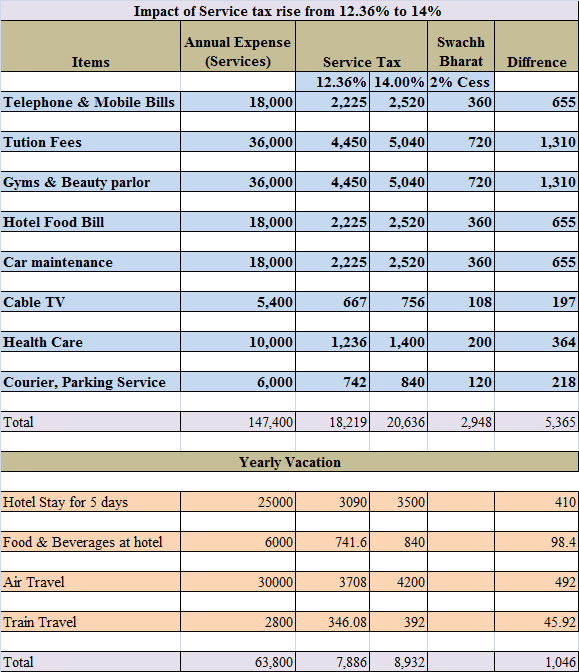 Service tax scope now covers most of household basket. 80D limit is enhanced from fifteen thousand rupees to twenty five thousand rupees in budget but on the on other hand same amount is taken back from your pocket, every visit to doctor & every diagnostic test will be cost you more due to increase in service tax liabilities. Even hike in excise duty and custom duty is goanna rise your expense as most of manufacturer will pass these tax expense to customer. Service tax scope is widen up & now this tax is also applicable on transport of all food items and edible oil. Only grains, rice, wheat and milk are kept outside of service tax parlance. This step will defiantly increase inflation for house hold items like tea, coffee, oil, cheese, butter, ghee etc. Get ready to pay more on everything starting from cigarettes and branded cloths to car and imported items. Guru Mantra for this year is to spend minimum on services to control your household expense. Service tax hike will only bring inflationary effect. Please get ready for Bad Days….! 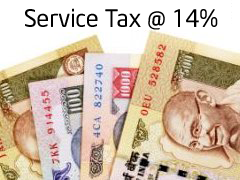 What is your take on this service tax increase? Do Share your views. The government has also declared 100% exemption for individuals who contribute to the Swachh Bharat initiative, what exactly does that mean? So if I invest 50,000 to the campaign will the entire amount be exempted for that financial year ?